Cake, originally uploaded by Neven Mrgan. Here's my cake topper serving its intended purpose. A fine example of life imitating art imitating life or something. oh my god. Why on earth did I not think of this when I got married?! 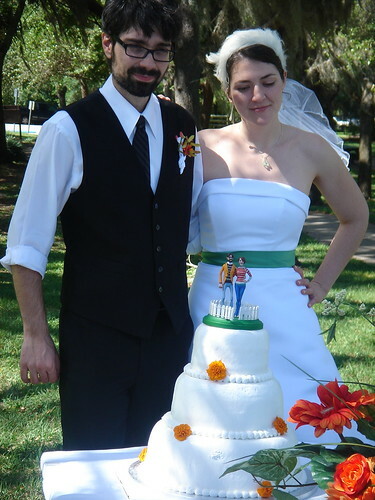 You could totally have a business just with super cool cake toppers!! When I have my pie shop, can I sell them? Pie shop! Good plan. Keep me posted on your progress. We could definitely work something out. Also - I want some pie.